This is what i'm gonna try and do today! This is so pretty! I'm going to have to try this out. eheh thank you! :) you too! OMG! These nails are so sweet! gosto muito desta ideia,super original! Thank you Marie! This post is amazing! já tinha visto a ideia, esta tão fofinha! Those are so adorable, I wish I was skilled enough to do that, so cute! Love this idea!! Looks so easy!! Will definitely be trying this out! ahhh que giro!! gostei imenso desta ideia!!! oh wow so so so pretty!! :o love it! 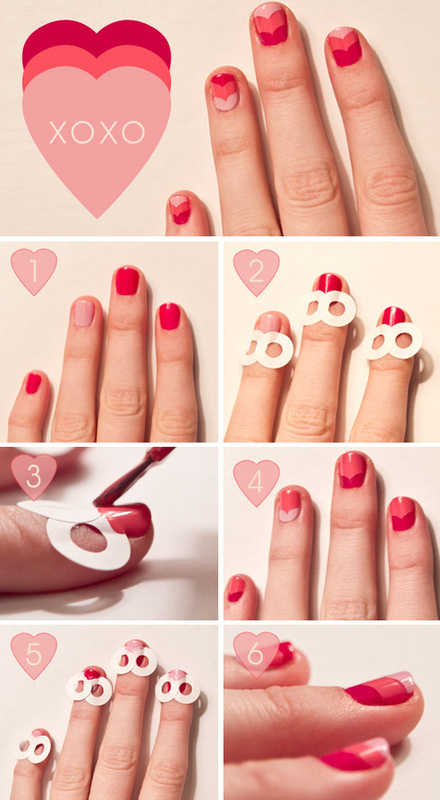 always love new nail art ideas! gentee, que nail arte mais fofa e parece ser super fácil de fazer né! wooow adorei! ficam super giras! Oh my gosh this is genius!! Love this! WOW THAT'S STUNNING!! all super cute ideas!!!! thank you :) i'll follow for sure! Really cute nails! I VERY LOVE YOUR BLOG, DEAR! Visitando blogs amigos, encontrei o seu e vim te visitar. Gostei e já estou te seguindo. Vou aguardar a sua visita e ficarei feliz se me seguir também. Crop Tops and Short Shorts!